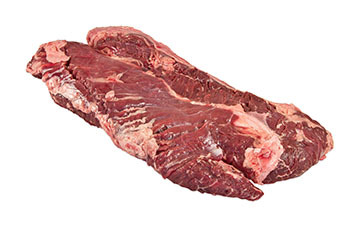 Beef flap meat is a very thin cut from the bottom sirloin. 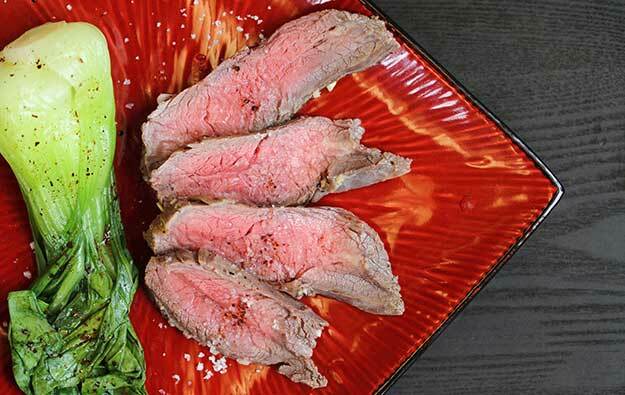 It has a texture and flavor somewhat similar to skirt steak, but is less prized (and thus less expensive). 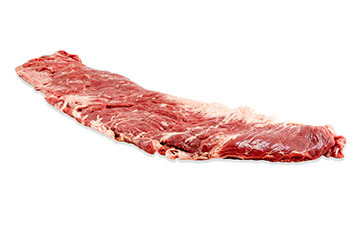 It’s frequently used in tacos, carne asada, stir fry & other sliced or chopped applications. 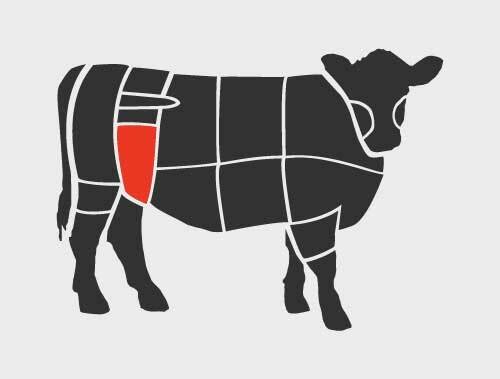 Like skirt & flank steaks, flap meat needs to be very thinly sliced across the grain & should be cooked over high, dry heat no further than medium rare for optimum tenderness. It absorbs marinades very well and offers great yield. Applications: Grill, Sear, Saute or Stir Fry.